Calcium is attracted by the receptor sites, forming calcium fluoride. 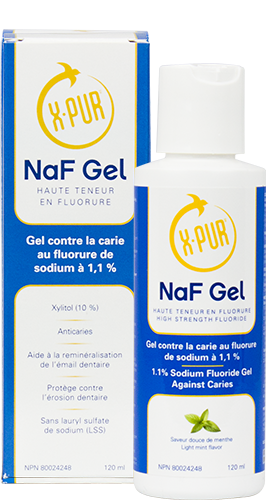 The fluoride ion then combines with the calcium ion to form calcium fluoride, adding to the hydroxyapatite (97 % of enamel and 70 % of dentin) of the tooth, thus making it more resistant to acid dissolution. 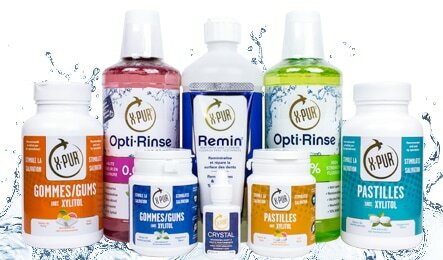 Glycerin, xylitol, natural mint flavor. 1. Use as a regular toothpaste. 1. Brush and floss before wearing trays. Fill the grooves of the trays 1/3 full of gel. Do not over fill as it will extrude out. 2. Wear for 5 to 10 minutes. Expectorate. Excellent product for use post-radiation therapy.